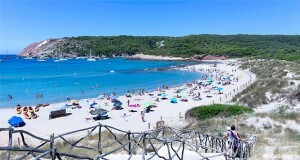 Cala Galdana is a holiday resort located on the south-west coast of Menorca, approx. 40 minutes by car from the airport in Mahon. 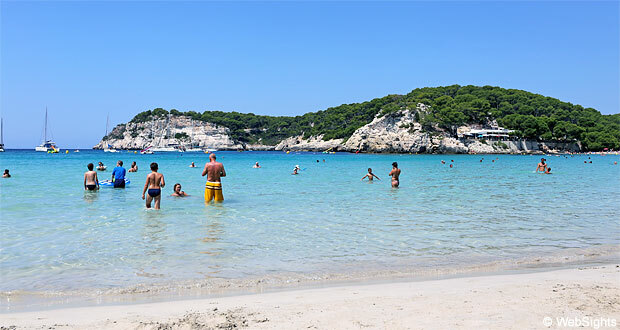 Cala Galdana has a fantastic beach, which is well protected inside a beautiful bay shaped as a half-circle. The almost 500 m long beach has fine-grained, bright sand. The water is crystal clear and has beautiful turquoise shades. Waves are rare, which makes the bay a perfect place for long swims. At the greater part of the beach, it is possible to rent sun lounges and sunshades. Other facilities include showers, toilets and a lifeguard in the central part of the beach. 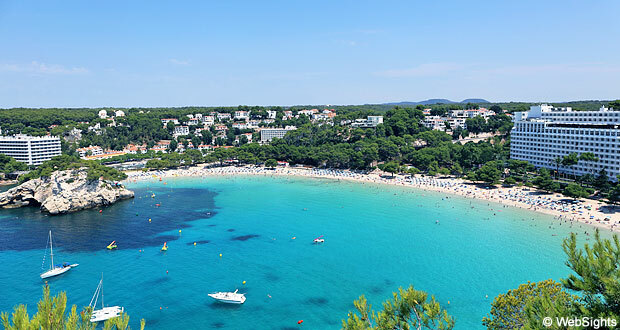 From Cala Galdana, it is possible to walk to the outlying beaches Cala Mitjana (1 km to the east) and Cala Macarella (2 km to the west) on beautiful nature trails. 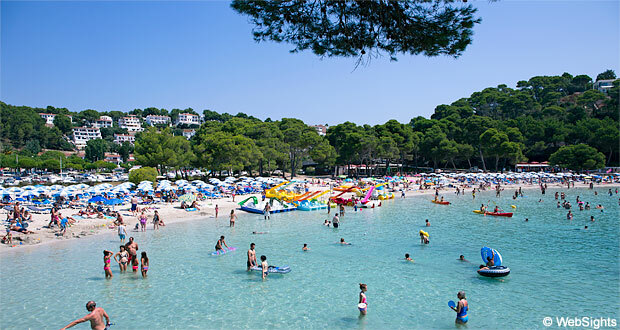 With its fine-grained sand and shallow water, Cala Galdana is very child-friendly. A few hundred metres from the beach, there is a large playground with a few water slides for the younger children. There are two places where you rent colourful water bikes and canoes. At the southern end of the beach, it is also possible to rent small motor boats. There are three fairly large restaurants close to the beach. They serve light courses and it is possible to buy refreshments to bring to the beach. 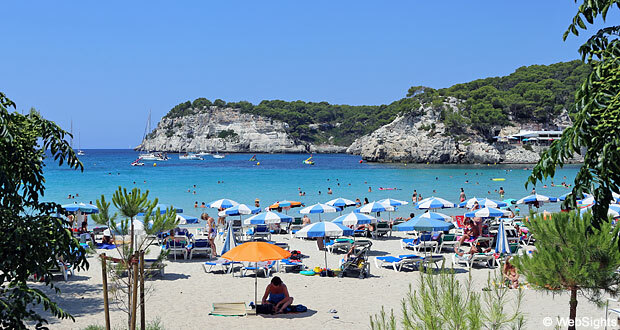 Gala Galdana is one of the most beautiful and frequented holiday resorts in Menorca. 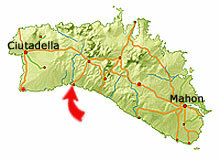 The town has everything a tourist could require of supermarkets, shops, restaurants and bars. 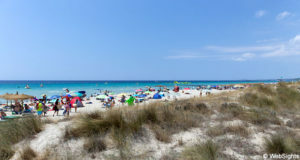 There are many good hotels in Cala Galdana, often with four stars. One of the best hotels is Sol Gavilanes, which is located right next to the beach.